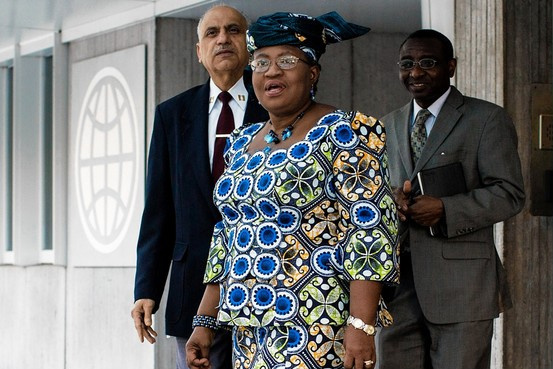 The Coordinating Minister of the Economy and Minister of Finance, Dr. Ngozi Okonjo-Iweala is captured above stepping out of the World Bank building on Monday after what she described as a “marathon” three-and-a-half hour interview with the board of directors. We may be seeing things, but is that a look of…triumph on her face? Time will tell.